Tailor-made for the needs of students and young professionals, protecting your belongings whilst in your rental property. Total possessions cover up to £5,000. Computer equipment cover (laptops only) up to £2,000. Mobile phone cover up to £750. Tenants’ liability cover up to £5,000 (covering you if you cause damage to your landlord's property). A high-tech gadget to ensure you never lose your keys again! Track and trace your keys on iOS and Android devices. Activate a loud noise on my the fob using you phone to help you locate lost keys. Receive an alert when your keys are out of range (75 feet) - alerting you if you've left them behind. 2-4-1 main meals any day any time at Anoki Indian Fine Dining. 10% off all food and drinks at Malt Cross Cafe Bar. 10% off any standard menu item to eat in at Toast. 10% off Mon-Thurs at Pudding Pantry. Please click on the button below to request your purple pass. You will receive your pass and insurance schedule when collecting your keys at the beginning of your tenancy. Please note that your landlord insurers the building and the contents he provides, but not the possessions you bring into the property. 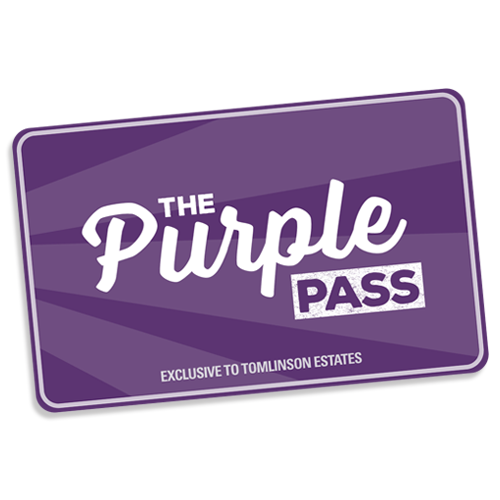 If you do not take advantage of our purple pass offer then we strongly recommend that you take out personal possessions insurance with another reputable provider. * Partner businesses may alter or withdraw a discount offer from time to time - where this takes place a similar or equivalent offer will be sought for Purple Pass holders, and the details displayed on this webpage.